AYS Website - Brand Republic: Can You Define Marketing's Most Overused Buzzword? Brand Republic: Can You Define Marketing's Most Overused Buzzword? Brand Republic asked us to help make sense of marketing's c-word to diffuse the fluff for brands and marketers around the world. "Arguably, content is the most overused but misunderstood buzzword in contemporary marketing" said our Strategy Director Harvey Cossell. "It’s become a catch-all term that alludes to everything and nothing, and on its own is too woolly and lofty to hold all the complexities that are contained within. It’s high time we put some solid definitions in place. After all, how can we be expected to understand content’s purpose if we can’t even explain its meaning?" 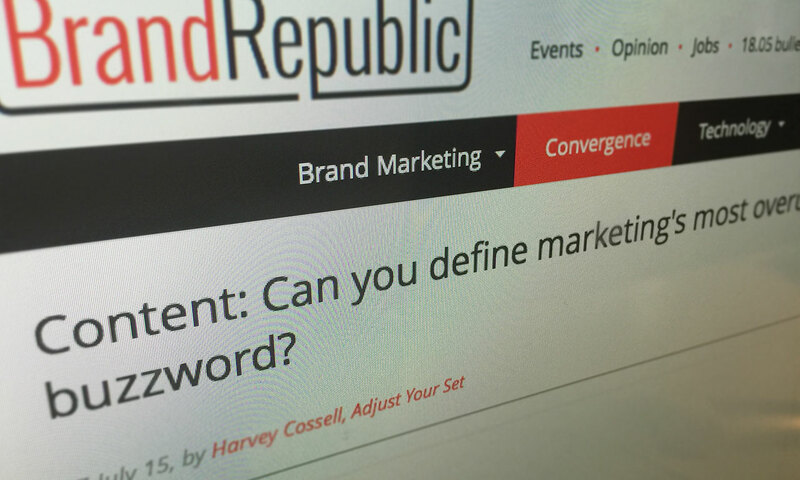 Read Harvey's full opinion piece on Brand Republic.